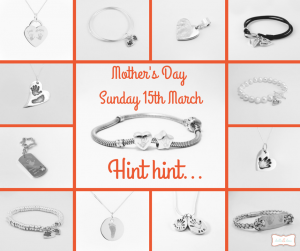 We have pulled together some amazing new products, exclusive offers and amazing discounts from our team of Keepsake businesses to help you drop some big hints for the prefect Mothers Day gift or to treat yourself to something special! Some great ideas for Fathers Day too for those that are super organized! 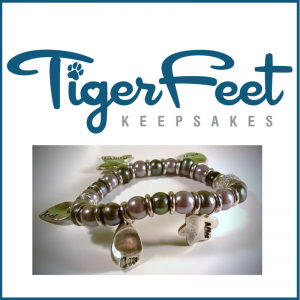 A FREE necklace – exclusively for The Keepsake Company! 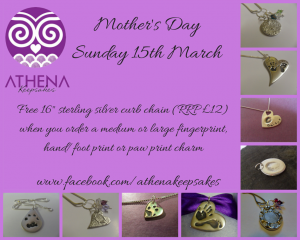 To help say Happy Mothers Day, Tiger Feet Keepsakes are offering a free snake chain necklace with all medium or large sized fine silver charms. Choose from handprints or fingerprints and either the popular heart shaped charm or the beautiful butterfly or flower petal designs. 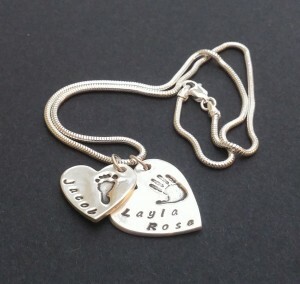 Contact Kirsty by facebook www.facebook.com/tigerfeetkeepsakes or by email studio@tigerfeetkeepsakes.co.uk and quote The Keepsake Co for your free necklace. Launching a Mother’s Day Milestone Competition from Sunday 15th February all the way up to Mother’s Day on 15th March. 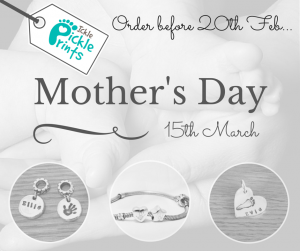 All you need to do to enter is like Beanstalk Keepsakes on facebook (https://www.facebook.com/BeanstalkKeepsakes) and sign up to receive emails on this page: http://beanstalkkeepsakes.co.uk/mothers-day-competition/.The Keepsake Co subscribers can enter first by visiting this page now. The first milestone is 1000 likes and the first prize is a small fingerprint charm. Prizes will be given at each 500 like mark thereafter (e.g. 1500, 2000 etc.) To tie in with the competition there will be flash sales and all new email subscribers will be notified first. Have introduced their new fabulous ‘Ready To Wear’ range and have a 10% offer on offers running from Monday, 23rd February until Monday, 9th March. 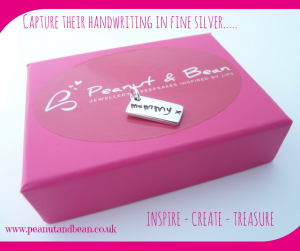 Have recently launched their fabulous new website http://www.peanutandbean.co.uk, take a look for lots of great ideas and check out their new “Mummy” name tag charm, developed with Mother’s day in mind, a perfect gift. This weekend they are launching their gorgeous website (www.bellaandbow.co.uk) and to celebrate they will be running a special promotion of “buy one product and get the second half price” – for one week – just in time for Mother’s Day. Do you ever wonder what to do with your children’s drawings? If you are anything like me, you ran out of space on the fridge some time ago but can’t bear to get rid of them! Why not have one or two special drawings miniaturised and cast in fine silver as a special keepsake that you will treasure for a lifetime. 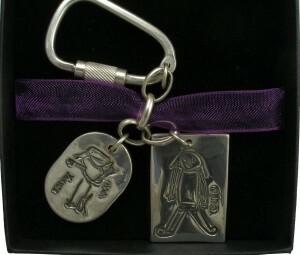 Doodle charms can been made in any size and attached to bracelets, necklaces or key rings. Special limited offer, choose an attachment free when you order before 28/02/2015. P.S. Thinking ahead for Father’s Day? Doodles look great on cufflinks too! Visit www.lastingtouch.co.uk or contact gemma@lastingtouch.co.uk for more info. 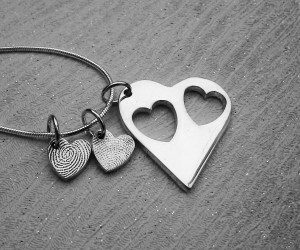 Bambini Treasures have recently introduced their beautiful heart cutout fingerprint charms. 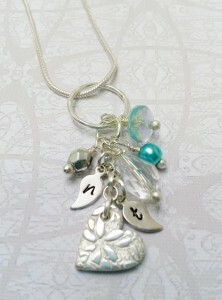 They will be giving away a free necklace with the first 5 orders of a large charm. 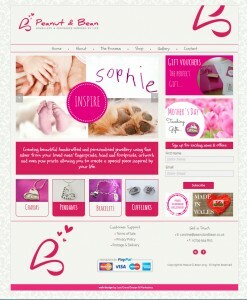 Facebook www.facebook.com/bambinitreasures. Contact number 07985272287.